This is a great website- thank you!! I wanted to ask- are the pools consistent with scheduling camps in the morning, and then open swim from about 1- 4? Right now the Philly website mostly points to facility info but not the daily schedule for each pool… Also, can you speak to some pools, like Awbury, where at times everyone has to get out and then get in line to get back in? Thanks again- I am excited to check out other pools this year! On schedules: They do vary. I’d estimate about 80% of pools have some form of camp swim in the morning. Other things I’ve seen in the 11am-1pm time frame are senior swim and mother-tot swim, but I’m not aware of any open/free swims then. (Kelly Pool is open for lap swimming, though.) And the 1-4pm slot can vary too. Are there any particular pools’ schedules you’re wondering about? On everyone having to get out: Some pools take a break every hour (often from quarter of until the next hour begins); I know Max Myers does this — sounds like maybe you’ve seen it at Awbury too? Many pools take a break between different sessions (so, for example, family swim will end at 5:45pm, and no one will be allowed back in the pool until adult swim starts at 6pm). The breaks always involve everyone leaving the water — at some pools they can also involve everyone leaving the pool deck and needing to line up outside again. On really hot days, when there’s a line already, this lets other people get a chance to swim. On other days, I do not know what the rationale for it is — maybe that it gives the lifeguards more of a true break so they can stay as alert as they need to be for the next session? From a pool-user side, repeatedly having to line up definitely makes the experience less enjoyable. Thank you for this helpful post (and website) to kick off another fabulous swim season in Philly! Your site has an excellent Google search ranking and provided far more useful information than the city’s websites. Alas, after just 6 short weeks (shortest season so far? ), pools are starting to close for the season. Do you have any news on closing dates as we scramble to squeeze in a few more swims? Thanks! What I’ve heard… O’Connor closes Wednesday, August 19 and is unsure whether or not they’ll be open the full day. I’ve heard Marian Anderson and John B Kelly are open longer? Others? Also, where are the 4 indoor, year-round pools the city claims to have but fails to name on their website? Thanks for your help! Such key questions at this time of year!! But actually, this year’s swim season is a week LONGER than it has been for at least the past two years. Last year, the first pool opened on 6/20, and the last one closed on 8/21 or 8/22. This year, the first pool opened on 6/19. While most will be closed by this Friday 8/21, the City is keeping a handful open through Friday, August 28th. AN EXTRA WEEK OF SWIMMING!! I am very excited. The four indoor pools are Lincoln at Lincoln High School in the Northeast, Pickett at Pickett Middle School in Germantown, Sayre-Morris at the eponymous rec center at 59th and Spruce, and (serving people with disabilities) Carousel House in Fairmount Park. 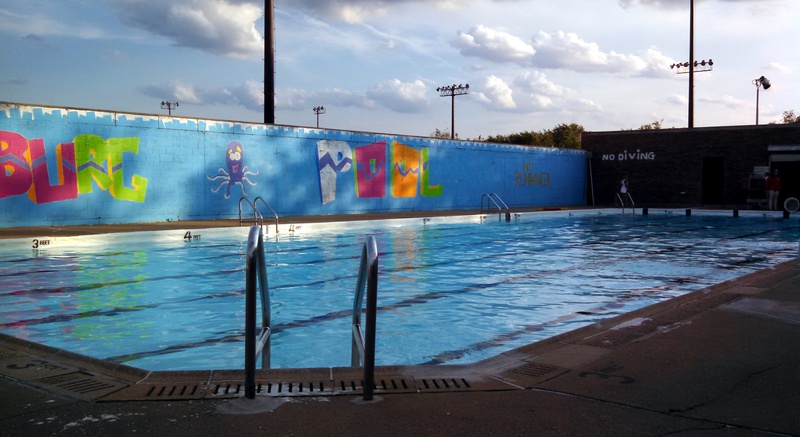 Of these, Lincoln may be the most user-friendly for people not in the immediate neighborhood, as they maintain a voicemail with the pools hours. I’ve never found a working phone number for Pickett, but the pool seems to keep pretty regular hours, akin to Lincoln’s. Sayre-Morris is one of my all-time favorite pools, mainly because I trained to be a lifeguard there and adore a few of the staff people (who, mind you, are not warm and fuzzy! ), but they have the most rickety infrastructure of the three and sometimes need to close for repairs; if you call the rec center after 2pm, someone should be able to give you the current status of the pool. Let me know if you need help finding phone numbers.